Parker Williams is a new-to-me author. I was thoroughly captivated at the start of Runner. Matthew is living in the aftermath of an attack by his school teacher back when he was sixteen. Now, nearly thirty, he's a shut-in living in a rural setting, never leaving to go to town. Never interacting with anyone. Living with both PTSD and OCD, everything must stay the same. A man running by, day after day, puts Matthew's world on its axis. I thought the emotional toll was written accurately and with great compassion. On that front, I'd give the book 5 stars. However, there was an air of unbelievability to both the story and the dialogue. Sugary sweet, no one flawed. I mention this, because this is reader-subjective. If not in the right frame of mind, it may be too much to handle, page after page of sugary sweet, or it may just be what the doctor ordered. For me, around the 60% mark, it was too much of the same on every page, without any conflict. In a different mood, I may have ate it right up. Perfect for a quick, afternoon read if you're looking for MM romance. Let me start off by saying nine times out of ten, I HATE books that have a lot of inner monologue and not a lot of dialogue. I always find myself skimming and getting bored. This did NOT happen with this book. The author did a great job of keeping me engaged in the story and characters. Matt had a horrible incident when he was 16, he is basically a recluse, until he sees a runner run by his secluded house. What unfolds is a budding relationship between Matt and Charlie. I really enjoyed this book. It was slow paced in some aspects, but in others fast paced. It kept my attention and I wanted to find out what was going to happen next. I fell in love with both Matt and Charlie. I could have smacked Matt's brother a few times, but I get it. Sweet story that gave me the feels. Matt has lived a life revolving around order and fear. When he was sixteen, his trust was broken and it was never regained. Despite having a family who was supportive and loving, they just couldn't understand what he had survived – how the trauma dictated everything that Matt thought, did, etc. So he moved out of their way – or so he thought. This was a story about redemption, love, and forgiveness. Matt and his family have been at odds since he was sixteen. He felt that he was a burden, his family just wanted him to be "better," but didn't truly understand what that was supposed to look like. When Charlie starts running past Matt's house, Matt panics. He calls the local sheriff, his brother, Clay. Despite his sympathy towards his brother, Clay can't really prevent Charlie from running on a public street, so Matt will just have to endure. There were some slow aspects of this story, but I felt that Williams did an excellent job in moving everything forward. Even the inner monologue wasn't boring. There were definitely moments when I just wanted Matt's family to understand, but in the end, everything will either be as is or change. I really liked this story and found it heartwarming. I liked this story of a recluse with PTSD and the man who jogs past his house each day. Living an almost self-sufficient life on an isolated property, Matt manages to be a much more interesting character than his mental health problems suggest. Charlie, a successful author, manages to be lonelier and in more need of support than he initially appears. Together, these two make for an odd couple but they fit together quite beautifully. This is a slow, sweet, and sometimes dark story of a man who finds that his need for companionship (and a bad case of blue balls) allows him to push past crippling PTSD and forge a tentative relationship with a new neighbour. This isn’t a simple story. Matt hurt his family badly when he rejected them and repairing broken relationships isn’t easy. Over time, Matt has retreated from the world and the people who care for him and the way back isn’t easy. The romance between Matt and Charlie didn’t always work for me. Charlie is a little bit too perfect and far too forgiving. Matt’s treatment of Charlie is pretty awful at times and his feelings for Charlie move from anger to lust in an unexpected split second. The relationship between Matt and Charlie felt too fast and too certain. I was never really sure what Charlie got out of the relationship. While I thought Matt’s PTSD was handled sensitively and sympathetically, I struggled some with this storyline. I work with teen survivors of trauma and abuse daily and I was a bit confused by sixteen-year-old Matt’s ability to walk away from his psychiatrist, refuse treatment, drop out of school, and become a recluse. I don’t know if this would be acceptable in the US but in the UK, professionals work in coordinated teams to ensure traumatised kids get the mental health support they need. Even when – and especially when – they don’t want any help. I’m glad that Charlie didn’t immediately fix all of Matt’s problems, but some of Matt’s ingrained behaviours and compulsions are fixed way, way too quickly and easily. Beyond Matt and Charlie’s story is the story of Matt’s hometown and the wonderfully supportive and slightly quirky small-town characters. Again, this is a little too wholesome and the people are just a little too good to be true for my liking, but the town does add some charm to the story. 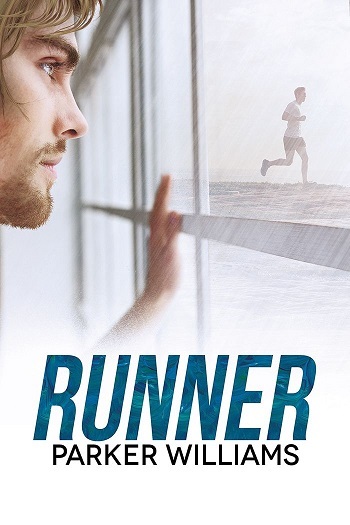 Reviewers on the Wicked Reads Review Team were provided a free copy of Runner by Parker Williams to read and review.